Most business owners can see the value of social media to spread brand awareness and stay connected with their customers. But can social media posts actually help you generate sales? The answer is yes — in 2013, 52percent of marketers generated sales leads from Facebook, and that’s just one social media platform. Social media can help you find the people who are interested in using your products and services right now — and it can help you turn those leads into customers. Here’s how. When it comes to social media, images are among the most popular content shared. On Facebook, 93percent of the most engaging posts are photos. Other social media networks are taking notice and encouraging users to share more photos and images. Whenever possible, include a call-to-action with your image post, and a link to your website in the caption. On Facebook especially, putting your link in the caption allows for a larger, more noticeable image post. The link could direct followers back to your website, where they can download an e-book or fill out a survey. Free content offers some incentive for customers to give up personal information, like an email address. Don’t forget to offer additional rewards for those who actually make a purchase — a gift package containing discount coupons, promotional pens and other items from The Pen Guy is perfect for expressing your appreciation and building customer loyalty. In all of your marketing efforts, online and off, you should keep your target audience firmly in mind. How can you find your target audience on social media? Many members of your target audience will actually find you. Loyal customers in your local area will be delighted to find your company on Facebook, Twitter, Pinterest, Google+ and other social media forums, and they’ll be among your first followers. 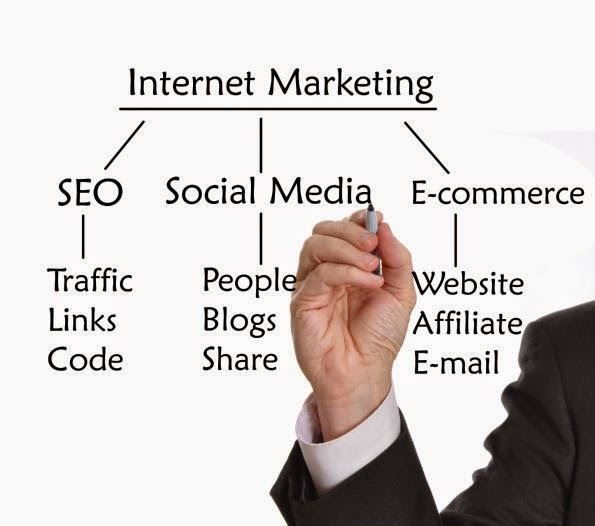 Some of these people may also refer their online friends to your business. If you want to grow your social media following or take advantage of your followers’ spheres of influence, you can offer discounts or promotional packages to followers who refer their own friends and followers to your business. Or, you can use the search feature to look for users who are posting about your competitors, products similar to yours or simply their need for a reliable service provider in the area. When you find someone who seems like he or she might benefit from your products or services, use a light touch. Don’t just jump in with a sales pitch first thing. Ask the customer about his or her needs and offer some tips before gently suggesting that he or she take advantage of your services. Customers expect to be able to connect with your business via your social media profiles. These days, many customers no longer pick up the phone and call when they have a question or complaint; they take to Twitter or Facebook to connect with their favorite businesses. Don’t leave your customers hanging online. When someone addresses a question to your Facebook page or Twitter profile, be ready to answer promptly. Your prompt, professional and clear response could mean the difference between that customer taking his or her business somewhere else or bringing it to you. Likewise, when someone lodges a complaint on your social media page, don’t just ignore it; address it and do what you can to make it right. You’ll not only satisfy that customer, but you’ll reassure the rest of your audience that they can count on receiving good customer service from you. Monitoring your business’s social media profiles like this might seem overwhelming, but you don’t have to stay tied to a desk to do this; you can keep track of your social media profiles by phone. If you’re still intimidated, just stick to maintaining profiles on one or two key networks, like Facebook and Twitter. One or two well-managed profiles will serve you better than several that never get updated. If you have the budget, consider hiring someone to manage your social media profiles for you; or give the task to one or two tech-savvy employees. The time of day at which you post to social media can influence the number of leads you generate. Eightypercent of people aged 18 to 44 check their phones as soon as they wake up. That means the hours between 6:30 am and 8:30 am are among the best in which to post to social media. Meal times are also good times to post, but avoid posting between the hours of 5:00 pm and 8:00 pm; that’s when social media traffic is heaviest, so you’ll be competing with posts from hundreds of your followers’ friends and other favorite brands.